SOYL is planning what it calls the UK’s ‘largest ever’ variable rate nitrogen trial during spring 2018. The trial is being managed in partnership with parent company Frontier Agriculture’s 3DThinking research and development trials team. SOYL commercial director, Simon Parrington says: “Significant evidence to support the use of variable rate nitrogen already exists based on our trials over the last 12 years. “This new wider scale trial has been designed to test how we can push further to maximise the yield and quality improvements that variable rate nitrogen gives. Variable rate application equipment (liquid or granular) in place. All data, trial design, analytics and interpretation will be managed by SOYL. Individual harvest results will be analysed and shared with each grower taking part. They will also gain access to the findings of the national trial. By carrying out a trial of more than 100 fields SOYL will be able to compare how variable rate nitrogen works across different soil types, varieties, geographies and yield potentials. 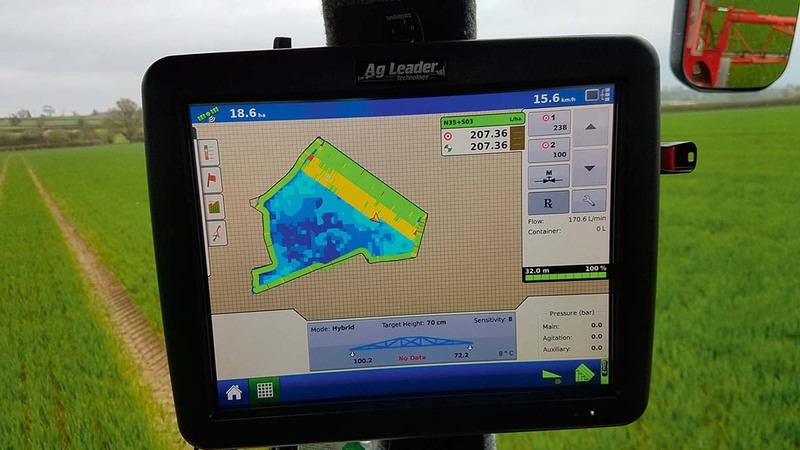 This will help further improve the agronomic models used by both SOYL and parent company, Frontier Agriculture and their agronomists, says SOYL. Frontier’s national 3DThinking trials comprise 12,000 plots over 100ha (40 acres) of land.